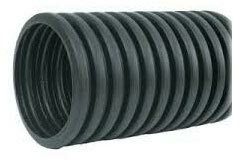 Our company’s name figures in the list of prominent Manufacturers and Suppliers of Corrugated Tubes. The Corrugated Pipes we make available are widely used by wiring harness manufacturers for automotive purposes. ROHS complied & fire resistant (fr) materials can also be used for making the Corrugated tubes, upon buyer’s request. To cater the diverse requirements of the buyers, we provide customization of the Corrugated tubes within the stipulated time. We are diversified product of corrugated tubes we are also manufacturing washing machine drain pipe,washbasin drain pipe,medical tubes.